Tuwisha D. Rogers-Simpson is first and foremost a creative problem solver. Currently she is responsible for overseeing a dedicated team at Urban One’s top tier and long-term client relations as Vice President of Strategic Partnerships. As an executive, she is responsible for over 15MM of media revenue and partnership management with iconic brands such as Walmart, AT&T and Prudential. In addition, she is the founder and Principal of Wish Factor, an integrated marketing consulting firm, which develops ground breaking strategy and integrated platforms, including custom content, events and media placement. Rogers also lent innovative thinking, strategy, and managed integrated marketing plans for AARP, AMTRAK, Glory Foods, Verizon Wireless, Wrigley, Rosa Regale and Procter & Gamble Microsoft Bing and Target to name a few. 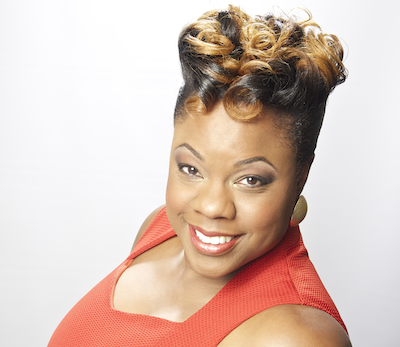 She has partnered with multicultural media powerhouses such as BET, Black Enterprise, ESSENCE and of course Urban One. Her career is a tapestry of experiences and expertise through the partnerships and work with iconic people and projects such as Realizing the Dream, a non-profit venture with Martin Luther King III. There she experienced a lifetime opportunity of working on the GEN II, with international team of heirs to some of the 20th century’s peacemaker legacies, such as Chavez, Gandhi, Kennedy, King, Mandela, Rabin, Trudeau and Tutu. In addition to her career in multicultural marketing, Tuwisha was an educator at Bauder College in the Business department and Political Science at William Paterson University. Likewise, she serves as speaker and facilitates workshops for public schools, colleges and organizations on the topics such as personal branding, academic development and community partnerships. She is a Leadership Newark Fellow and a proud graduate of Prudential Young Entrepreneur program, a member of Delta Sigma Theta Sorority Inc. and Pi Alpha Alpha Honor society. Tuwisha holds a Bachelor of Science in Marketing from William Paterson University, a Master of Public Administration in Urban Studies from the Kean University, and a NJ teaching certification. Her career and community activities have been noted as an honoree and recipient of the 2013 The Network Journal Forty Under 40. Tuwisha firmly believes that we all serve a divine purpose and she is on the road to fulfilling her destiny of bring people together…one creative solution at a time!